Similar to the Western card game rummy, Mah-Jongg is a game of skill, strategy, and calculation and involves a degree of chance. The game is played with a set of 144 tiles based on Chinese characters and symbols. This group is dedicated to the sport of this ancient tile game. There is a little luck and a little defense involved, all of which makes this game fun and exciting. 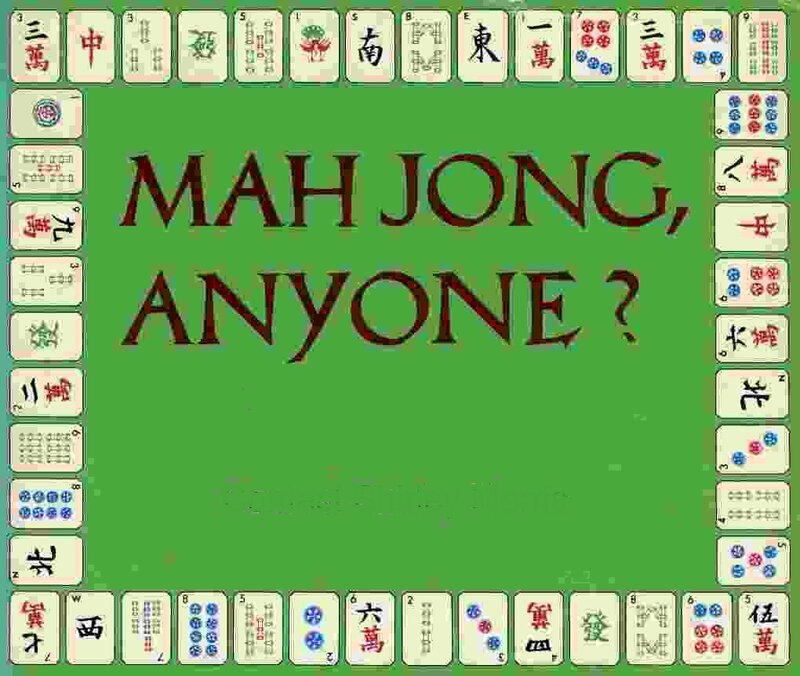 Now is a perfect time to learn how to Play Mah Jongg. After the teaching session stay for lunch then practice what you just learnt with the 1:00 PM Mah-Jongg group. Join us on the 1st and 3rd Monday of the month @ 11:00 AM. This group meets the 1st & 3rd Monday of the month at a local restaurant. If you plan on eating please arrive by 12:30, play begins promptly at 1:00 PM. The cost is $6.50 for lunch, desserts and a drink, you must pay whether you eat or not.